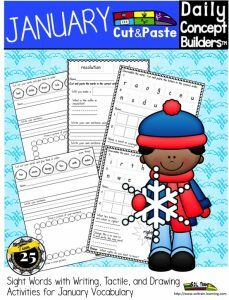 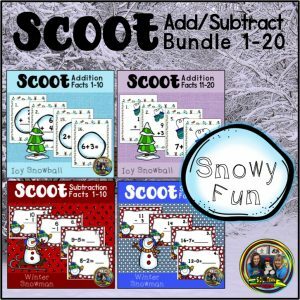 You get three different types of cut and paste interactive sheets that incorporate winter vocabulary, sight words and phonics! 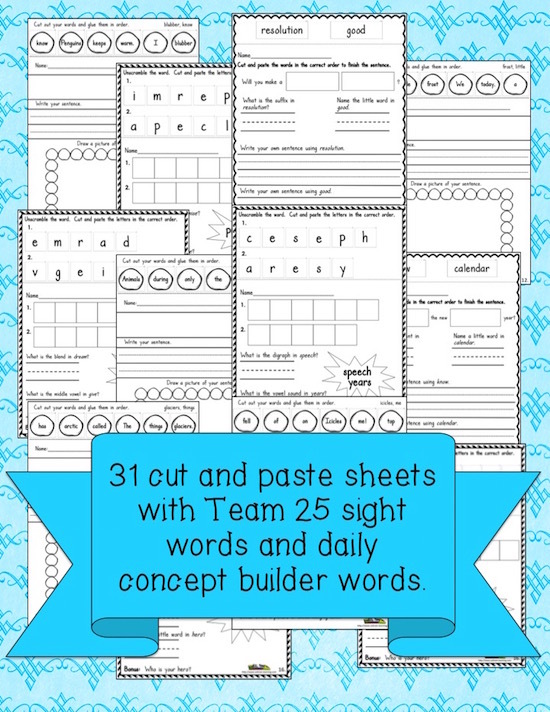 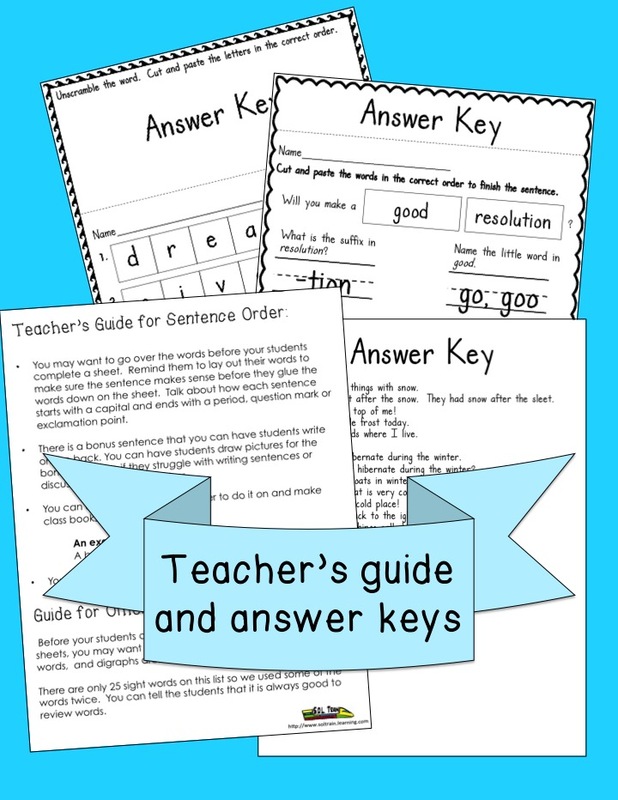 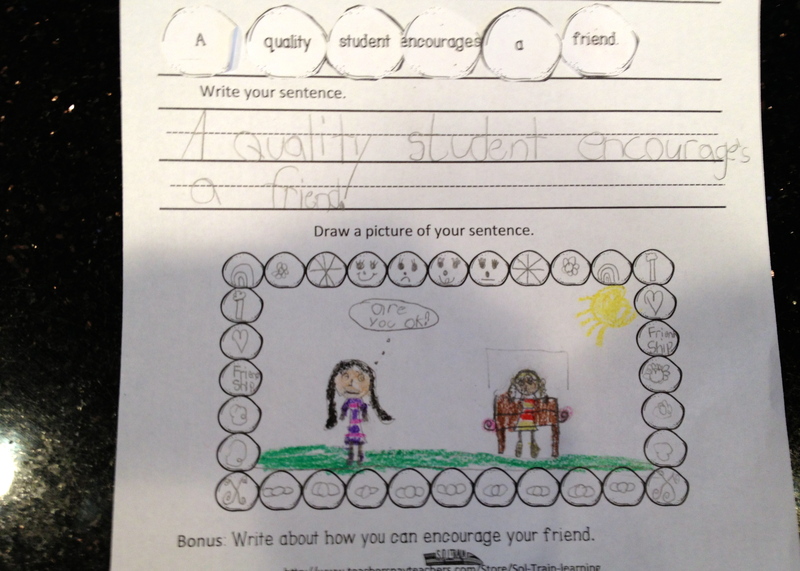 There is also a bonus question at the bottom of each sheet that encourages critical thinking. 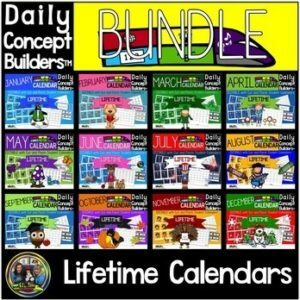 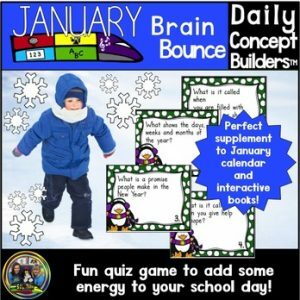 Be sure to check out the January Calendar that introduces the words.